If you have already come across sequences of numbers like 02:22 before, and if on occasion they even become insistent by appearing on your watch regularly when you look at it, then be assured that this is no accident. These simultaneous occurrences indicate that the universe is trying to send you a message. You should be aware of everything going on around you at this time. To better understand what will happen to you or what will appear before you in your life you should learn to understand the significance of this hour. Once interpreted with the help of numerology or the guardian angels, it will reveal to you a message that only you can figure out. You are in the best position to understand what it means. The message behind this hour is a signal, like a light which will guide you throughout your entire life. 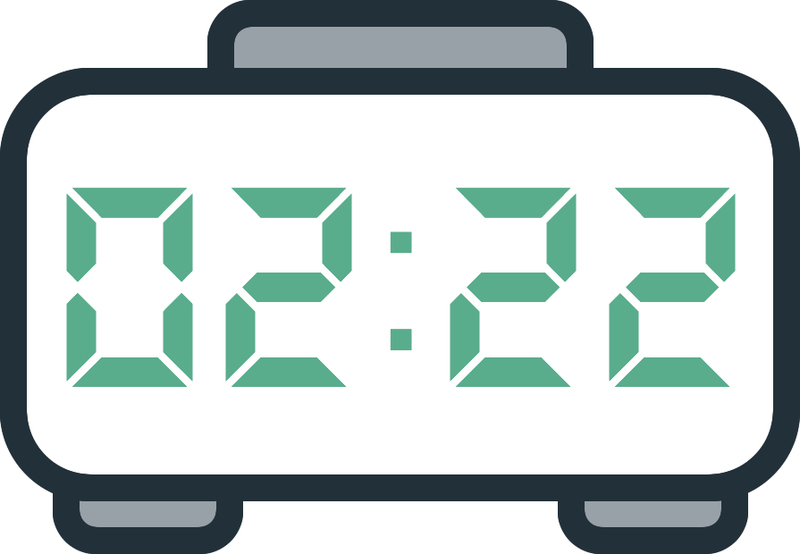 The triple mirror hour 02:22 is a sign that the ideas you have recently been planting in your mind are starting to develop and become a reality, so don’t stop watering and taking care of them. Soon they will emerge from the ground and your desires will manifest themselves in front of you. In other words, do not make the mistake of giving up 5 minutes before the miracle occurs. Your ideas will become a reality, so keep going. Keep thinking positively and learn to refine and visualize them in your mind. The angel Cahetel represents blessing and the harvest. By showing you the triple mirror hour 02:22 regularly he is sending you a sign. He is telling you that he has messages that you need to hear. He wants you to know that he will bring you divine blessing and will raise you up high enough to be able to comprehend the work of the creator himself. He floods you with gratitude for all of the creator’s work as well as for all the people that you will come across on your life's journey. Cahatel also informs you that he will be of valuable help if you are about to have a baby. He will protect you personally but will also protect the people who help during the birth. The protection of this guardian angel will be vital in ensuring that the birth goes smoothly. All throughout your pregnancy he will watch over you and your baby. 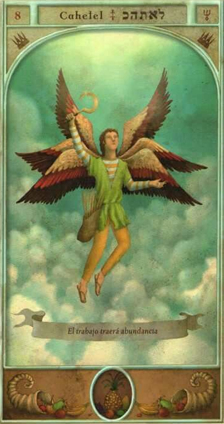 This guardian angel is your patron and protector and is also indicating that he will give you a huge amount of energy which will allow you to find success quickly and easily. He is the ally that you can always count on as you continue to progress onwards and upwards. He will also help you to change your lifestyle and habits. The angel Cahetel is also letting you know that thanks to him you will have a lot of energy at work. You will have a very active life filled with good opportunities. By his side you will find it easy to attract material wealth. Do not forget that he represents a bountiful harvest and therefore guarantees great success in your future. Everything you do will bear fruit which will nurture your body and soul. You should also know that the guardian angel Cahetel will deliver you from curses and from the powers of bad spirits. He will also stop you from consorting with tyrannical or arrogant people. He is the patron of the 4 elements: fire, air, earth, and water. You will benefit from his protection throughout your life. What does 02:22 mean in Numerology? In numerology the number 24 is the symbol of harmony, family, and love. It also signifies loyalty, respect, integrity, and kindness. Through the triple mirror hour 02:22 this angel number has messages for you that you should be aware of. 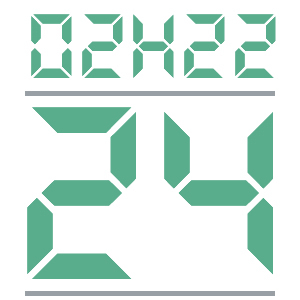 The number 24 will lead you to success, whether this be in your emotional life or in your professional life. However you should also be careful as your qualities may lead you to sacrifice yourself for others, to disregard yourself, or to lose confidence, and the consequences this may have in your life could end up being negative ones. The numerology of this number warns you that in your pursuit of harmony you will encounter emotional turmoil, hurt feelings, and the loss of a loved one. When connected with the triple mirror hour 02:22 the number 24 is also telling you that on a professional level you will have substantial support from women, and this will help you to advance in your career as well as help you to make progress on a mental level down the path which is best for you. Continue along the path that you are on at this moment and do so with vim and vigor. The number 24 also asks that you listen to your inner wisdom and your instinct. Always believe in yourself and have confidence in your guardian angel because he is always watching over you. When you work hard all your needs will be met and you will find achievement and success. In any case you have the talent and skills you need to succeed. The numerology of this number also suggests that you are filled with positive energy which will increase your self-esteem and your self-confidence. All the efforts you have made in the past have given you the strong foundations and stability that you have in your life right now. Any comment on the 02:22 mirror hour?